Their duty is to do all the good they can, and to never see a need without trying how they may remedy it… They must do any good that they can, and make their charity all-embracing. St Mary MacKillop and her followers lived by this rule. As soon as they became aware of homeless and destitute people in Adelaide, Father Woods opened St Joseph’s Providence in 1868. There they provided shelter for homeless children and destitute women of all ages. This was a brave venture. The Sisters, who had no fixed income, trusted in God for what they needed. They begged for aid from the local people, who seldom refused them because they knew that the Sisters’ focussed on the destitute poor. In 1951, the Providence moved from the city to suburban Cowandilla. 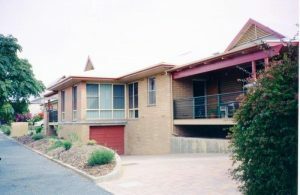 A new era began for the home in 1972, with the blessing and opening of extensions and renovations, which were paid for by the Commonwealth Government. The Sisters felt that this necessitated a change of name and they called it Flora McDonald Lodge. Today, the spirit of their founders and the traditions of their Congregation continue to shape the decisions and actions of staff, management and the MMCSA Board. All involved in MMCSA share in the Mission of Jesus, by revealing God’s loving kindness and respecting the human dignity of people who are aged, dying and/or living with a disability. Today, Flora McDonald Lodge, an up-to-date home for the aged and people with physical disabilities, continues to operate in the spirit of its founders by offering high quality care and accommodation for its residents and ensuring that all are treated with care, dignity and respect. During the years 2015-2017, this home is undergoing a major reconstruction and refurbishment. When finished it will accommodate 153 residents. Mary MacKillop took special care of sick and dying Sisters and did her best to provide them with every comfort. The Josephites have continued this tradition. Initially, they nursed sick Sisters in an infirmary within their convent. In 1972, they transferred these Sisters to Tappeiner Court, which soon became a registered nursing home. Until 1984, it was a home for Sisters only. By then, however, there were fewer Josephites requiring care and so they opened it to lay people and members of other Religious Congregations. In 2017 Tappeiner Court will close and its residents will transfer to Flora McDonald Lodge. 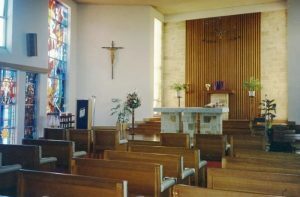 St Catherine’s Home, Berri, opened in 1961 under the management of the Daughters of Charity as a non-denominational home for the elderly. By 1987, these Sisters could no longer staff this home and the Sisters of Saint Joseph accepted responsibility for it. 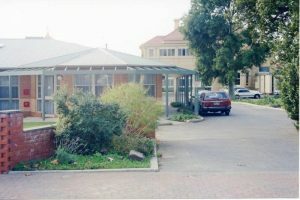 As a residential care facility for the people of Berri and its surrounds, it is an integral part of the local community. There the Sisters and staff follow the tradition of Mary MacKillop in working with and supporting people in rural areas. In the late 1990s, it was recognised both nationally and within the state of South Australia for its high level of safe practice.